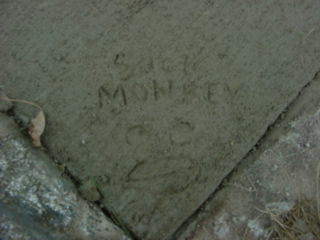 The Gallery of Monkey Rouges: Sock Monkey leaves an impression! 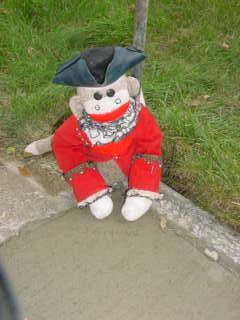 Poopie the Pirate getting the star treatment! Ain't I clever? Cause I used my little paw prints as the eyes for my little drawing of my face! Cute, huh? Leesie sure liked it. She's pretty much the one that counts. I love my Leesie.